This is a shrine located on the Timeless Isle. It acts as an object, so you need to right click on it to use it. Only one player can use it, and it will despawn after it has been clicked on. Fortitude of Niuzao: reduces damage taken by 25%. Wisdom of Yu'lon: Increase all stats by 20 %. Xuen's Strength: Increase damage dealt by 15%. Chi-Ji's Hope: Critical stikr chance increased by 25%, haste increased by 25% and mastery increased by 25%. All have a 10 minute duration, and are removed upon death. Come-on people what are the corr. After someone clicks a shrine, it takes 10 minutes to be available to click again. If a shrine isn't sparkling when you get to it, just wait a few minutes. I believe this to be all of them. Wayshrines activate roughly every 10 minutes, and are clickable by only one person per activation. Being in a group (not raid) will grant credit for the quest if one person clicks the wayshrine. These are used for Santuários do caminho dos Celestiais as well as Peregrinação, granting one of four buffs, or causing a massive fire AoE that will pull nearby enemies. Fortitude de Niuzao "Though blood floods the ground, the mountain is unmoved." Sabedoria de Yu'lon "The truth shines brightest in clouded times." Esperança de Chi-Ji "Hope's fire grows when the flames come together." Sacrifício Ardente de Ordos "The shrine was corrupted by Ordos!" Speaking as a Fire Mage, the Chi-Ji buff is one of the most fun things I've experienced in WoW! When my Yu'lon's Bite procs, I have actually seen 86% crit! I have found myself actually running to all the shrines, just looking for this one. Once buffed, I can't tell you how fun it is to burn things like Death Adders down in 3-4 casts (my guess is 545+ Fire Mages need merely LOOK at the mob and it keels over). It does seem to stack with the consumable buffs one collects. In a sense it kinda makes up for the Burden's, an item I am frustrated with because every time I've used it (all 3 times), it creates one from the 2 worst "random stat" items! 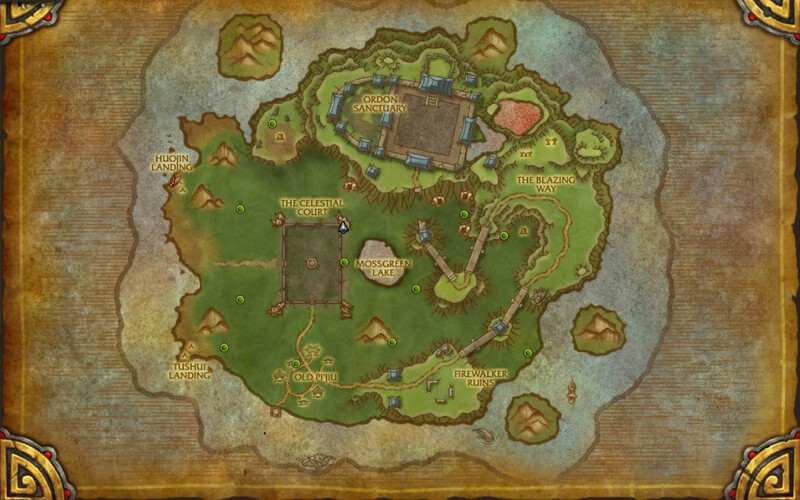 Take your level 85 character, swim out to the timeless isle, eat some Timeless Nutriment and tag some rares waiting to get this buff off a shrine. Combine with the Singing Crystals you may have gotten from rare tags to make it even easier. Super useful to grab a Scuttler's Shell to get the shrine buff at Three Breeze Terrace without fear. 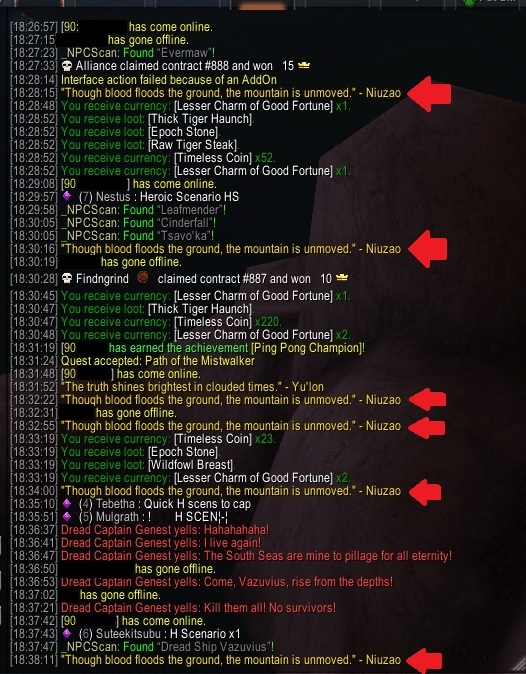 I just love having half of the oh so hard to obtain shrines being corrupted by Ordos! You know, if Strength didn't boost my Attack Power, I would have been inclined to agree with you. Esse objeto pode ser encontrado em Ilha Perene (12).